There is not chat option on the site for me to use buddy. And I can't post a screenshot. OK, then just send your email with your questions and our manager will get in touch with you. The average time for a backlink to be placed in 5 days. Sign up on our website, send us your registration email and request your bonus. That's all. 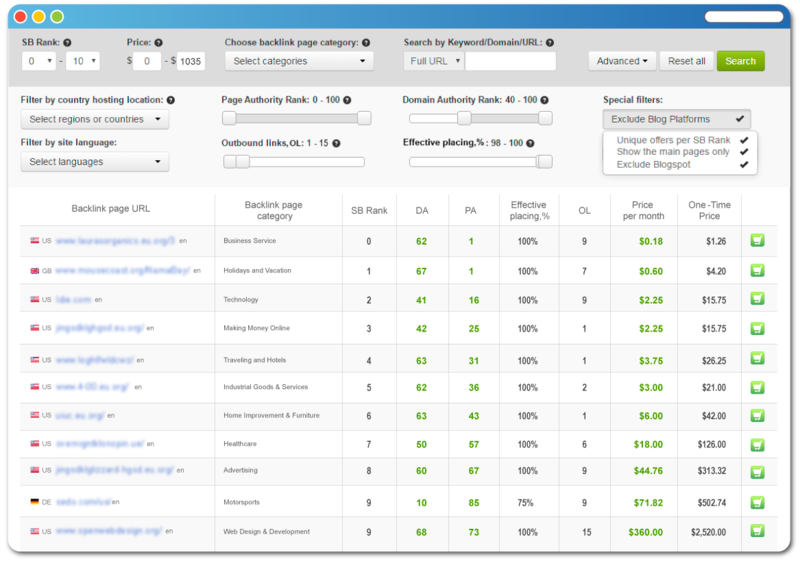 You can purchase backlinks on blogs, corporate and topic-based websites, internet portals on misc niches etc. The best gift for an SEO is high rankings, agree? I have just signed up now on your site and have received 25$ credit but i think i will be able to use it after i purchase an backlink. My niche is adult site, but i don't found any niche website category related to it so please tell me because i want to buy the link as soon as possible. Edit: I just added my backlinks in my cart and found that it is asking me to top up my account with 25$ first in order to use existing 25$ credit. That's some serious hack man. You here told to buy only one link for 0.15$ to activate 25$ credit. Please advise me if i am missing something. That's right. Now users can get $25 bonus when they add minimum $25 to their account within 5 hours after signup. If you do not want the bonus just start with $25 anytime. We set minimal sum as many companies do and 93% of our clients exceed this sum every month as 1 link will not have much impact on rankings. 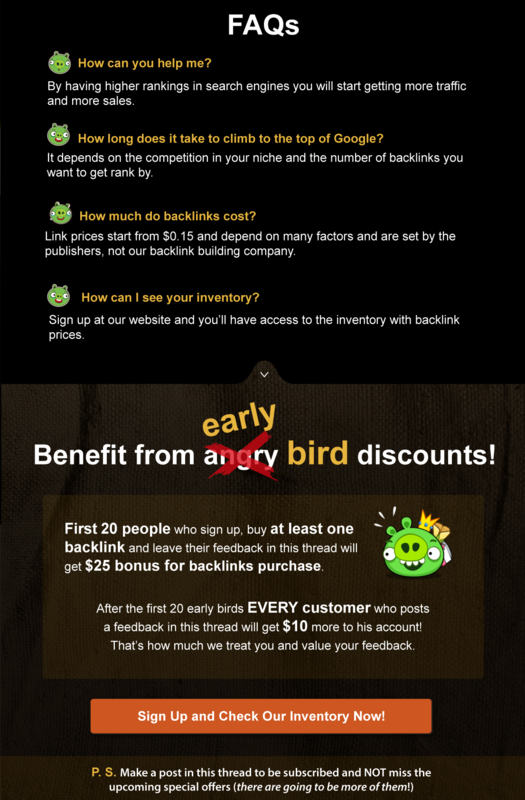 Having $25 on account you can buy more backlinks and start your link building campaign more efficiently. Umm Okay but that's not what i was expecting, i just read your thread and went over it but then later found that limit so i think you should update the thread and mention it clearly. Have A Look At Our Offer!